As eyecare providers, we continually strive to improve procedures and techniques to maximize outcomes and increase patient satisfaction. In this way, pterygium excision (pterygiumectomy) has enjoyed significant advances in the last decades. With only 3% of the U.S. population developing pterygia, these gains may be overshadowed by treatment advances of more common conditions. However, successful pterygium excision can have profound and positive impact on patients’ comfort, lifestyle and self-confidence. 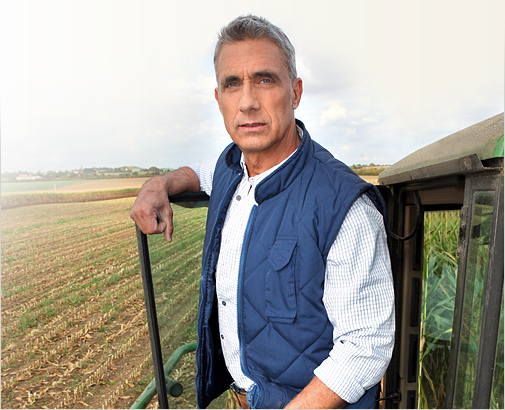 Risk factors include chronic UV exposure, arid environments, wind, dust, chemical exposure, and possibly genetics. Pterygia are rarely seen under age 15, but prevalence increases with age. The highest incidence occurs between ages 20 and 497. Worldwide latitude of residence is also a major risk factor for pterygium growth with 22% prevalence in equatorial regions compared to less than 2% in latitudes above 40 degrees8. My dear father’s term for his own pterygium was flufferitis, referring to the red growth of fluff from the corner of his eye. Bilateral pterygia are common, although the rate of growth and symptoms often vary between eyes. 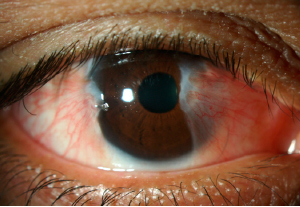 A Stocker’s line of iron deposit in the cornea may develop over time at the cap (leading edge) of a chronic pterygium. Pterygia are often measured in millimeters behind the slit lamp both horizontally and vertically. This involves noting how far the leading edge has progressed horizontally from the limbus to the center of the cornea, and the lesion’s vertical breadth. 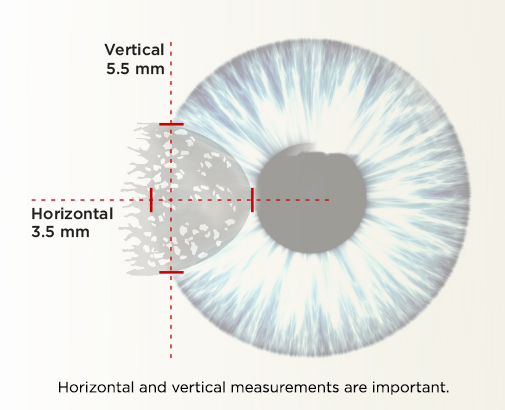 Studies have shown that the total area of growth is a risk factor of recurrence more than just the length of growth toward the corneal center11. There are several surgical approaches to pterygiumectomy. In the past, bare-scleral techniques were utilized at times in conjunction with partial tarsorrhaphy or radiation. However, studies of the bare-sclera approach showed high rates of complication—particularly recurrence with more rapid and exuberant regrowth than the primary lesion11. There has been a significant improvement in comfort and outcome with recurrence rates now cited at <5% 12, 13. Mitomycin C (MMC) is an alkylating, antineoplastic agent which prevents cellular division and replication by inhibiting DNA synthesis. It has been studied to prevent scarring in PRK and glaucoma filtering bleb procedures, either as a topical post-op drop or as a controlled intra-operative application. For pterygium excision, many surgeons now inject a 0.2mg/ml concentration into the lesion intra-operatively, just before excision. Autografts are slightly more successful than amniotic grafts in reducing the rate of recurrence14. They may either be harvested (usually from the superior bulbar conjunctiva in the same eye), or as a sliding graft where the conjunctiva adjacent to the excision is rotated to cover the area. Amniotic membrane tissue may be helpful when a large graft is required, or when surgery is required for a recurrent pterygium. However, cost is a factor to consider. Tissue adhesives and/or sutures are used to secure all forms of graft in place. Adhesives without sutures greatly improve patient comfort and outcome success15,16 and greatly reduce surgery time. Fibrin sealants, such as Tisseel, have two major ingredients: purified fibrinogen (a protein) and purified thrombin (an enzyme) derived from human or bovine blood. Fibrin glue is designed to mimic the last stage of blood coagulation. Adhesive mixtures may be colored to visualize application, but turn clear within hours. Normal recovery from pterygium excision includes a regimen of antibiotic drops for 1 week and oral pain relief as needed. Topical steroids are used for an extended period, possibly up to 12 weeks. Aggressive surface hydration and UV protection (hats and sunglasses) are advised to aid recovery and prevent recurrence. Post-op evaluation includes careful monitoring and observance of vascular changes at the limbus as a sign of impending regrowth. Early intervention for vascular bud formation may include laser spot treatment or local Avastin injection. It is valuable to stress the importance of follow-up as recurrence can be seen 6 to 12 months after the primary excision. Complications other than recurrence can include infection, corneal scarring, astigmatism, scleral melt, dellen, symblepharon, conjunctival cysts, pyogenic granuloma, graft failure, muscle insertion damage, and side effects of topical steroid use. Regular IOP checks are necessary. While comanaging ophthalmic surgery patients, we are often privileged to witness profound changes from good outcomes. Cataract and LASIK surgery improves vision, but successful pterygium excision can significantly improve patients’ comfort, appearance and self-confidence. Although not as glamorous as other procedures, the outcome can be highly rewarding with satisfied patients becoming sources of testimony and gratitude. If you have questions about pterygium excision, please do not hesitate to contact any of our optometric physicians. Arch Environ Occup Health. 2006 Jan-Feb;61(1):27-32 Pterygium among Latino migrant farmworkers in North Carolina. Taylor SL, Coates ML, Vallejos Q, Feldman SR, Schulz MR, Quandt SA, Fleischer AB Jr, Arcury TA. See comment in PubMed Commons belowCochrane Database Syst Rev. 2016 Feb 11;2 Conjunctival autograft for pterygium. Clearfield E, Muthappan V, Wang X, Kuo IC.